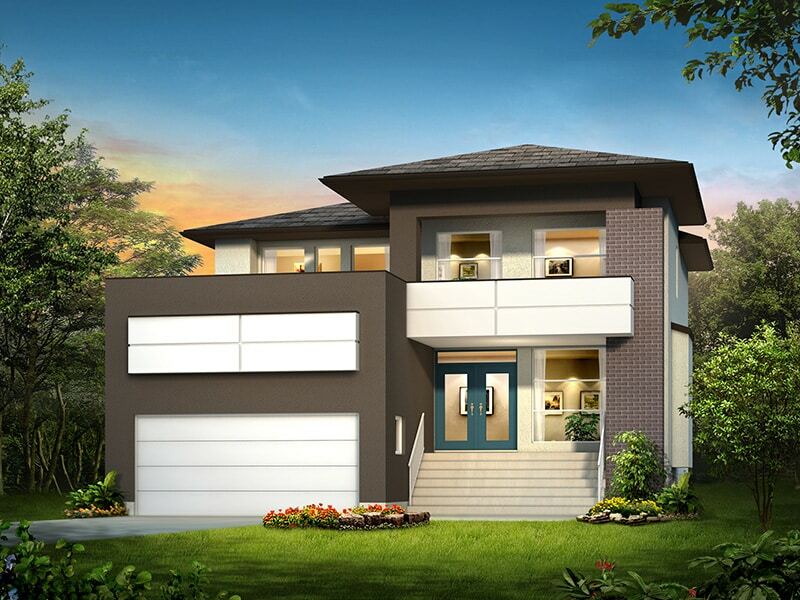 The Bellagio is an A&S luxury 2 Storey. This large 4 bedroom, 2 1/2 bath design is perfect for a large family. The house is suited for entertaining with its open concept layout, formal dining room and its large Great room featuring a custom maple entertainment centre with tiled fireplace. The kitchen boasts maple cabinetry, ceaserstone countertops, an enlarged custom island with raised bar, ceramic tile backsplashes and a walk-in pantry. The main floor shines with tile and birch hardwood floors throughout, glass insert staircase with maple railings, and soaring 18 foot ceiling heights in the front entrance foyer. The master suite has an enlarged walk in closet, a custom bar/entertainment unit and a deluxe ensuite with a 6’drop in ceramic tile jetted tub and a stand-alone 4ft custom frameless glass shower. The Bellagio has an exterior contemporary design that shines with an acrylic stucco and brick finish, an abundance of oversized windows, wood paneled detailing and a grand front entrance with double glass paneled doors. This home is a dream home. Square Footage: 2,254 sq. ft.